This guide takes us on a journey through Wales to show us the battlefields of our history, some of them 2,000 years old. 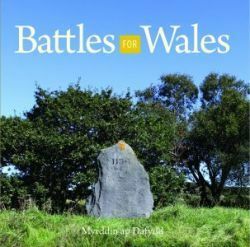 More often than not, these battles and the stories related to them are not marked on the landscape, but they remain significant stories in the Welsh nation\'s story. There are battlefields in every corner of Wales – some of them 2,000 years old. Facing the Romans on Caer Caradog, the Irish on Anglesey, the Saxons on Offa\'s Dyke, the Vikings on Llandudno dunes and Normans in their castles, the armies of the kings and princes of Wales were fighting for a future on this land. They were battles for Wales and its people, and the campaigns continue through industrial disputes, valley drownings and language rights.